An insight into the creation of art and design. 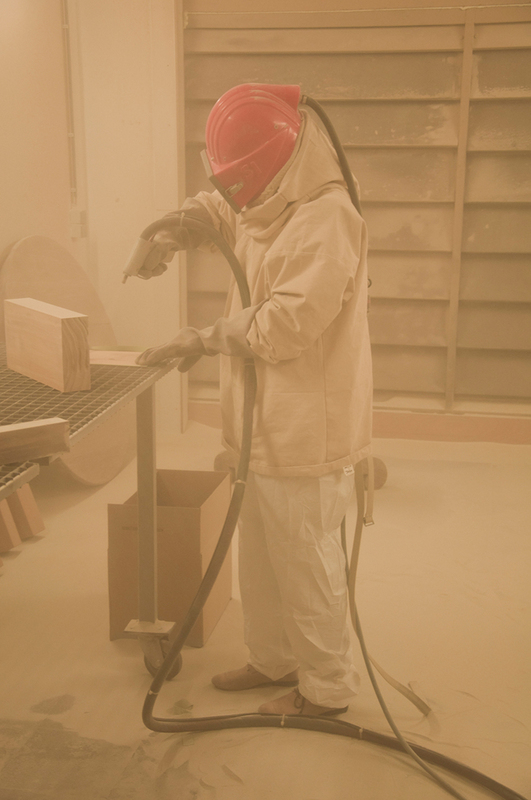 Woes: Shortly after we chose to pursue the wood direction, you suggested sand blasting the material. How did you come up with this idea? Lex: For the Dutch Ministry of Finance I made a design proposal for a commemorative coin on the occasion of the 50th birthday of the World Wildlife fund. In this project I showed a tree that was exactly 50 years old. 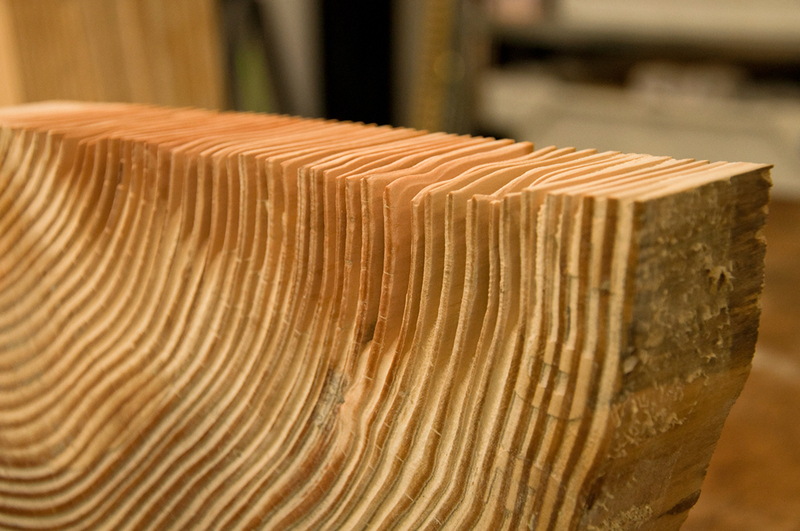 By sand blasting the wood’s surface, its annual rings formed a relief. Since there is no color involved, relief is essential in a coin—its shape is determined by profile and texture. In that project I couldn’t create a very deep profile because of technical limitations. But I always kept wondering what would happen if you would go deeper inside the wood and explore the structures below the surface. 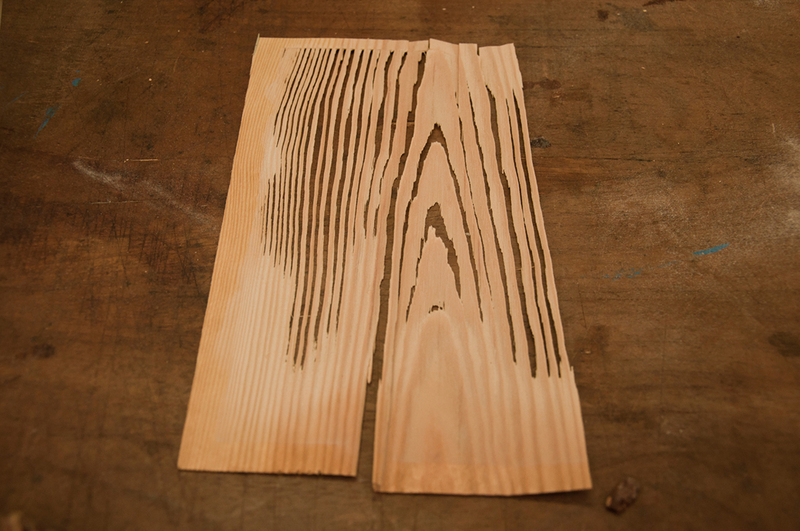 I am curious to reveal the finer, transparent wood grains that would otherwise remain hidden. Woes: As with many of your projects, I have the feeling you would like to 'decode' a material and tell its embedded stories. Perhaps it is hard to say in this early stage, but what kind of information would you like to come to the surface? Lex: Usually only two dimensions of wood patterns are perceivable. I am interested in exposing three dimensional structures. 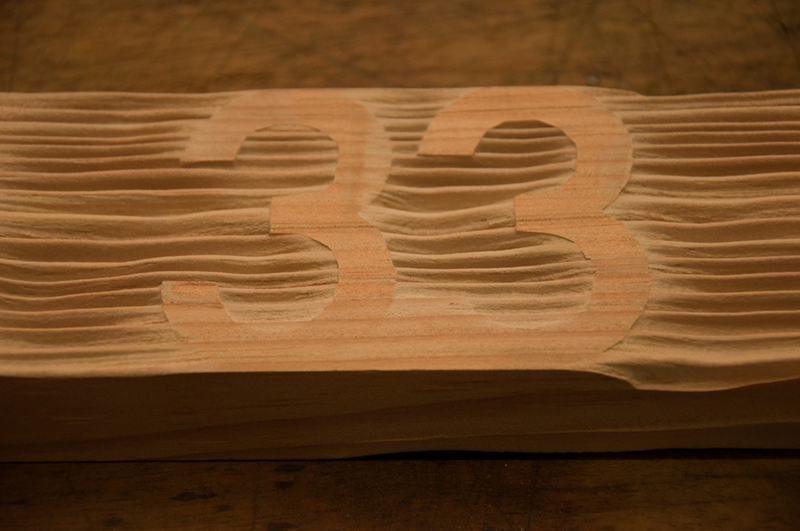 My aim with our project is to design and create objects that show a way of dealing with the inner anatomy of wood. The outcome will be a step towards the material’s true identity. The annual rings become tangible and might lead to surprising new functions that result from the material itself. 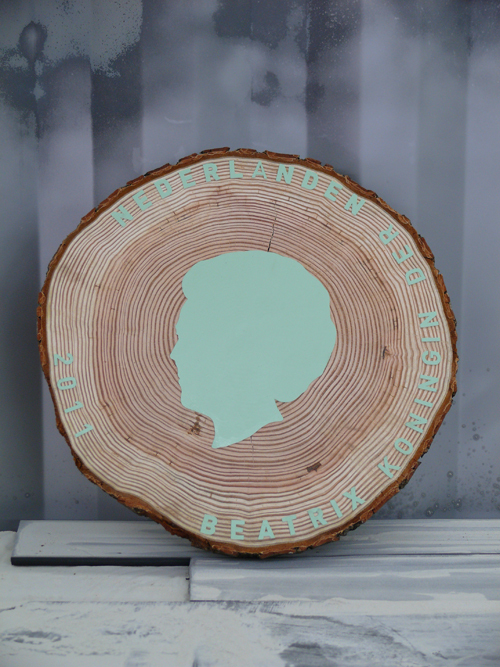 Woes: After performing research at the Amsterdamsche Fijnhouthandel and Naturalis you tested different types of wood. What were your findings? 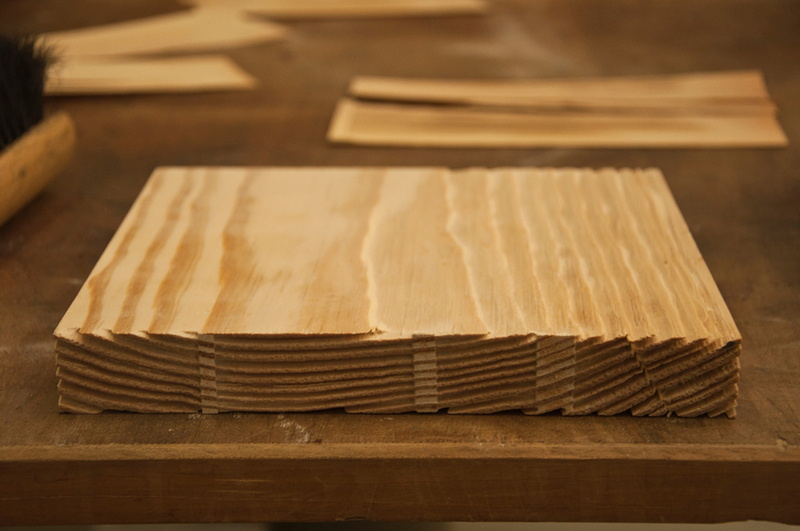 Lex: Pinewood has the unique characteristic of annual rings containing a harder and a softer part. This in contrast to hardwood, where the annual rings are equally dense. When we experimented with sand blasting, we found that applying equal pressure on both parts of the annual rings removes only the softer parts, thereby laying bare the structure of the wood. 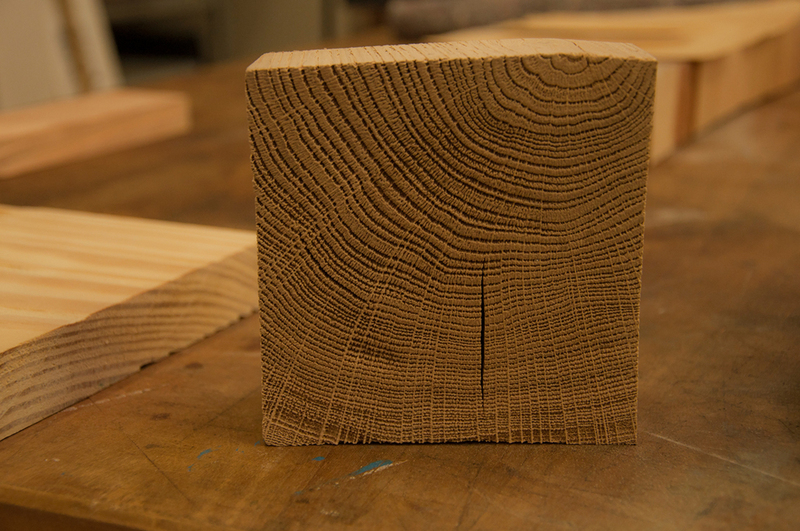 This discovery of annual rings varying in density—which shows well under a microscope—is crucial to the outcome of our project and implies that only certain wood types, such as pinewood, qualify for our project. Share on Facebook and Twitter.